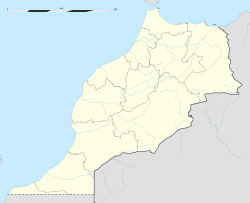 Bouskoura (Arabic: بو سكورة‎; Berber languages: ⴱⵓⵙⴽⵓⵔⴰ) is a municipality in Morocco, situated in the suburban area of Casablanca. According to the 2014 Moroccan census it had a population of 103,026 inhabitants, up from 58,312 inhabitants in the 2004 census. It has an important industrial zone.